All-ages action featuring your favorite Marvel super heroes! Bulldogs are about the best dogs in the world. Everyone knows that. But when the Leader decides to use a robotic bulldog to steal all of S.H.I.E.L.D. 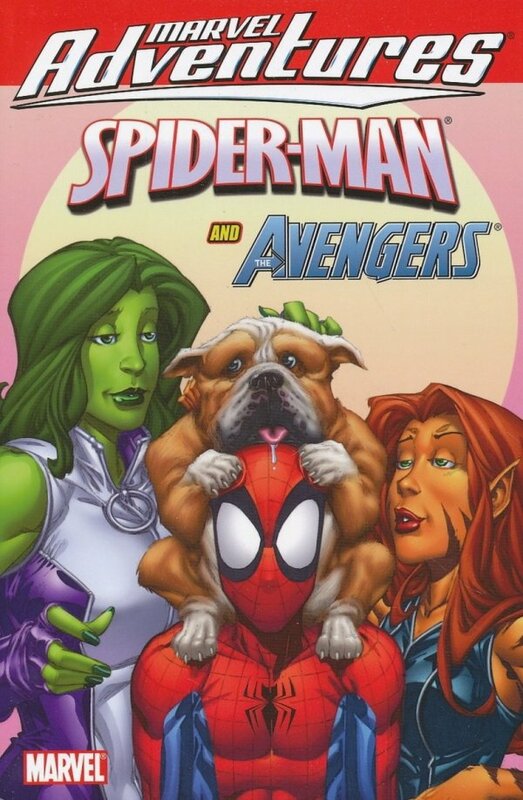 's private files, it's up to She-Hulk, Spider-Man and Tigra to clean up after the dog! Then, all Hawkeye wanted was to show the Blonde Phantom a new exhibit at the art gallery, but the art gallery is in a bank lobby, and on this day the bank lobby is featuring more than art; it has a gang of bank robbers! And when the Hulk and Tigra show up on the red carpet for Hollywood's biggest awards night, it looks like it's going to be a truly magical night?that is until the super villain known as Mysterio shows up! 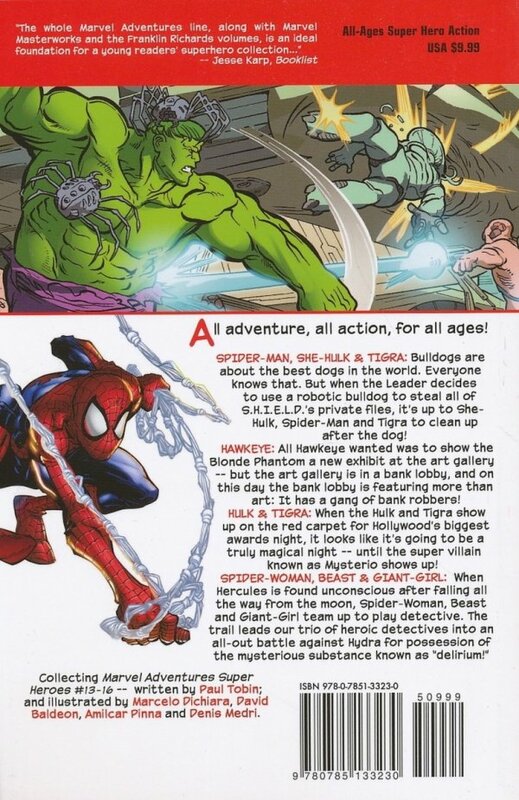 PLUS: Spider-Woman, Beast and Giant-Girl team up to play detective when Hercules is found unconscious!